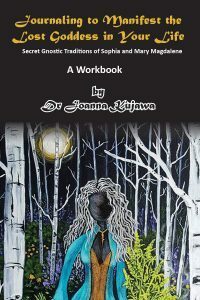 As promised, I am delivering my first investigative blog in a series promised in the manifesto of Mary Magdalene (to read again, please click on http://www.joannakujawa.com/manifesto-of-mary-magdalene/­). In this blog, I will look into the first set of ‘conspiracy’ theories surrounding Mary Magdalene. A conspiracy theory is generally an approach which is not accepted in mainstream discourse or discussions on a given topic. This can be either due to intended or unintended omission for the purpose of hiding ‘difficult to handle’ information, or because the information is considered untruthful and not worthy of proper scholarly scrutiny. I would not be calling myself a Spiritual Detective (even if tongue-in-cheek) if I were not attracted to these kinds of speculations. I am a scholar but at the same time I believe there is no smoke without fire and that it is not beyond the powers that be (usually bound to mainstream institutions) not to tell the whole truth, for whatever reasons. Having said so, as a serious spiritual seeker I do not want to waste my time on theories, however fascinating, if there is no truth to them. I am going to look specifically into the theories about Mary Magdalene, a possible connection to the Cathars (medieval French heretics) and Merovingians (French medieval dynasty ). In short, I am going to look into Mary and her French connections. Everybody today is familiar with Dan Brown’s The Da Vinci Code and other similarly themed books by him. But not everyone knows that although the book is completely fictional it is based on research by other authors and scholars and it does touch on one of the most frequently asked questions in Christianity: who was Mary Magdalene? It is a fact (admitted in 1969 by the Catholic Church) that Mary Magdalene was not a prostitute. 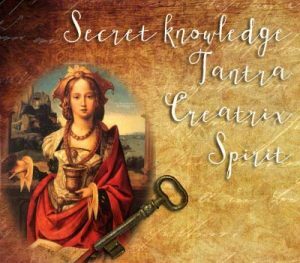 Since the discoveries of the so-called Gnostic Gospels in Nag Hammadi in Egypt in 1945 as well as earlier documents in the 18th and 19th centuries, it has become apparent she was a close companion of Jesus and, undoubtedly, one of his most gifted disciples. As interested and persistent seekers (like the writer of this blog) slowly became used to this idea, new evidence emerged, based mostly on the book The Holy Blood and the Holy Grail by Michael Baignent, Richard Leigh and Henry Lincoln, claiming that Mary Magdalene was married to Jesus, bore his child (a girl called Sarah), and that after the Crucifixion she left for Southern France and perhaps even started a new dynasty there. Now, I admit this latter theory sounds like a complete fairytale. While giving talks around Australia on the Gospel of Mary Magdalene I would often ignore these questions from the audience; they seemed too exotic to be true. Out of curiosity, I bought The Holy Blood and the Holy Grail though – and it is a fantastic read. In my opinion, it is generally well researched if a little bold and perhaps too often bent on scandalising the story for the benefit of its readership. But does this mean that it does not tell the truth? There are some elements to the book which I completely disagree with, but the idea that Jesus and Mary Magdalene were married makes perfect sense to me. For example, I know the Gospel of Philip (another Gnostic Gospel discovered in Nag Hammadi) claims that Mary Magdalene was Jesus’ koinonos, which can be translated as either ‘wife’ or as French scholar Jean-Yves Leloup refers ‘a special companion’. As a medieval scholar I was also aware there were medieval legends about Mary Magdalene travelling to Southern France. I also studied in depth medieval heresies, so I knew that the Cathars were brutally executed for their unorthodox beliefs (burned en masse at the stake) but also that very little was and is known about what it is they really believed. Usually, all evidence of ‘heretical’ beliefs is burned along with the heretics! I was willing to accept two possibilities based on the book: that Mary Magdalene was married (in some sense) to Jesus, and that she might have gone to Southern France later in the story – if we are to accept oral folk tradition as evidence. It is also known that some Cathars (two, according to The Holy Blood) escaped with some treasure and that neither they nor the treasure (presumably of some spiritual kind as the money was smuggled out earlier) were found through the Holy Inquisition. What I have a difficulty believing is that Mary’s daughter Sarah somehow became a founder of the Merovingian Dynasty. Then I came across Margaret Starbird’s book, The Woman with the Alabaster Jar. The fascinating thing about Starbird is that she was not looking for fame or scandal. As she says in the introduction to her book, as a devout Christian and Biblical scholar she set out to disprove the assumptions in The Holy Blood. She intended to use her knowledge of scripture to prove their theories wrong! But the most unexpected thing happened – as she kept digging in the Bible and medieval tales, arts and legends, she kept finding more and more evidence in support of their theories. Thus, instead of writing a book debunking them, she wrote one providing more support for them. 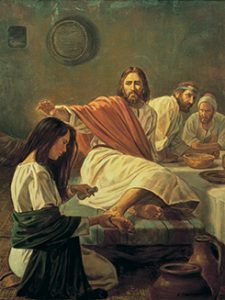 As I have written in earlier blogs on her, Starbird came to conclusion that Mary Magdalene was the other Mary, Mary of Bethany, and the sister of Lazarus, the one who anointed Jesus and was, indeed, married to him. She also concluded that the wedding at Cana was their wedding and that Jesus came from royal blood (as did she), unlike Christianity’s medieval version which would have us believe they both came from humble and poor beginnings. 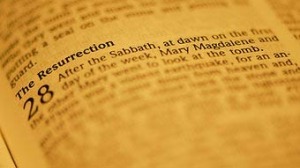 Starbird argues Mary was not from the town of Magdala, but rather her name comes from the Hebrew word Magdal-eder, meaning the ‘Tower of the Flock’ and the ‘future wife of the Messiah’, as predicted by the Hebrew prophet Micah. 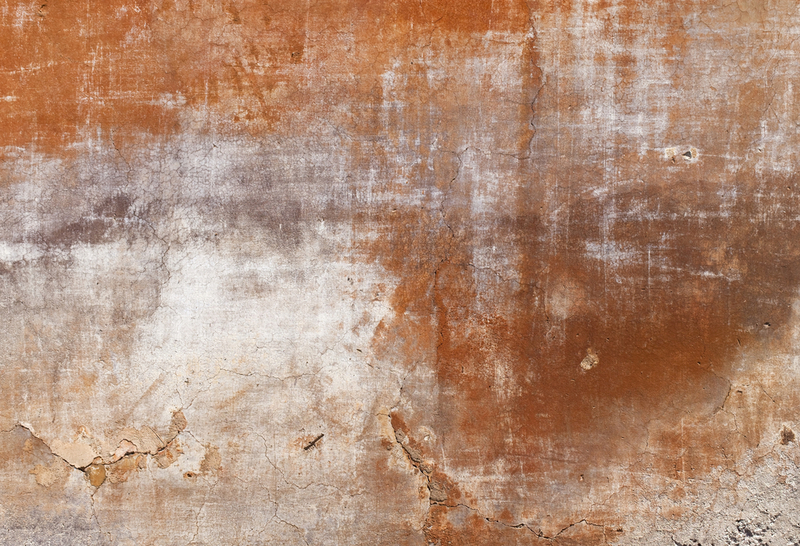 Curiously – and this gives me goosebumps – according to old French legends, the Magdal-eder lands in Southern France, either accompanied by Martha and Lazarus or Joseph of Arimathea (the man who allowed Jesus’ body to rest in his new family tomb). In one story, Mary Magdalene and her companions first go to Alexandria (a cultural and ‘heretical’ centre of the Roman empire at the time) then proceed to Southern France. To make things even more interesting, most of the ‘romance’ stories of the Middle Ages talk about a royal lady imprisoned in a tower and in need of liberation (or acknowledgement)? In fact, the entire romance genre began in Southern France, when troubadours started singing songs soon after the Cathars were burned at the stake about a ‘pure’ lady in need of protection. Starbird believes this might be a folkloric attempt to preserve the story of Mary Magdalene. 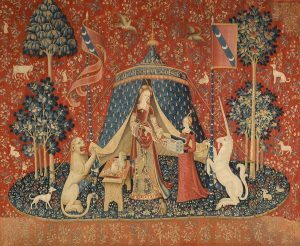 (The lady and the Unicorn is supposed to be a coded representation of Mary Magdalene in medieval art). As you can see, the story is not as crazy as it might first appear. And it certainly is fascinating. As a practical seeker, however, and self-proclaimed Spiritual Detective, I have to ask: okay, so this is a great story but how does it help us grow spiritually, understand the meaning of life? And further: why should I care if Mary Magdalene is connected to a more-or-less extinct French dynasty, since I could care less about royals in general (they should all get jobs as far as I am concerned)? Well, that may be true, but what if the Cathars’ ‘treasure’ – assuming it was spiritual in nature – was so important that people were willing to be burned at the stake for it, and what if the treasure was some hidden knowledge that takes us closer to the Divine and our own experience of our divinity? The Cathars, like the Gnostics, did not believe one needed priests for that. It would be nothing short of tragedy if that knowledge has died out with the Cathars, right? Except … except that right after the Cathars, the mysterious Order of the Templars came into being and dominated history for a couple of centuries. 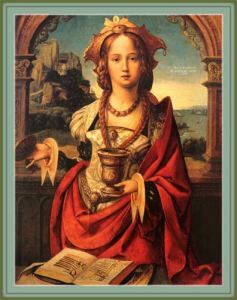 The Order was later destroyed because they claimed to have some kind of treasure, the undefinable Holy Grail that Starbird and the authors of The Holy Blood believed is inexorably connected to Mary Magdalene. My next blog will talk about this. As always, I would love to hear from you and open a discussion. Would love to know what you think of it and what are your hut feelings. Please comment below and let me know your thoughts. This entry was posted in Goddess News and tagged bring the goddess back, Cathars, conspiracy theories, Divine feminine, Dr Joanna Kujawa, Goddess News, gospel of Mary, gospel of Philip, heretics, Holy Grail, mary magdalene, Merovingians, spiritual blog, spiritual blogger, Spiritual Detective, Unicorn. Bookmark the permalink. Great blog Sundari! Thank you SO much for your insight – and analysis. I have long thought that there is more (much more!) to the story of Mary Magdalene than “the Church’ avers. Your writings add considerable strength to my concerns. And provide a much needed further dimension to her story. I’m looking forward to your next chapter! Thanks a million. Thank you Ian. Your encouragement is much needed and appreciated. Sometimes I ask myself why I am doing this – is anyone even considering this? But deep in my soul I know it is important. Deep in my soul, I believe that some vital truth has been hidden from us for ages, a truth that would help us understand our place in the Universe, our connection with both the world and the Divine – and that this needs to be looked into. And somehow, I deeply believe that most of the above is connected to the story of Mary Magdalene – even if I am only piecing the fragments together sometimes form some wild sources since the academy is bound by silence and submission on this one. So I am so profoundly happy that someone is listening and finds it of value. I bought your workbook on Amazon! Excited to try it!